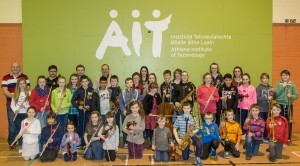 On Sunday 6 March young musicians came together from four community-based wind bands for the Royal Irish Academy of Music’s (RIAM) first ever Regional Wind Festival, held in partnership with Music Generation Offaly/Westmeath (MGOW). 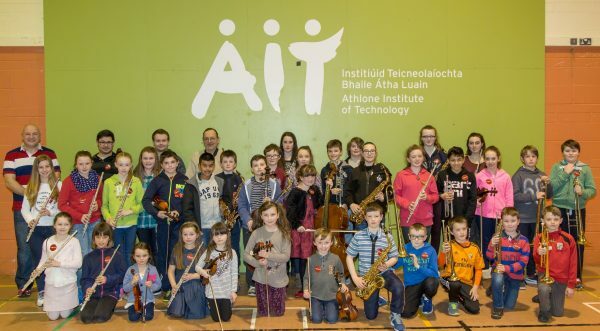 Around 100 young musicians, including members of Music Generation Offaly/Westmeath’s growing ensemble, the Athlone Schools Orchestra, and the cadet band from the Mullingar Town Band converged on Athlone Institute of Technology to take part in the day-long musical event. A jam-packed schedule of masterclass performances, instrument demonstrations and sectional rehearsals was concluded with a grand performance when all four groups combined to perform the new music learnt over the course of the day. Young musicians clearly enjoyed the day and commented on how their skills had benefitted and on how much fun the experience had been! With a great response from Festival attendees, and the exchange of knowledge between RIAM and MGOW musicians, Music Generation Offaly/Westmeath’s Development Officer Margaret Broome is looking forward to developing similar festivals and opportunities for young musicians in the future. 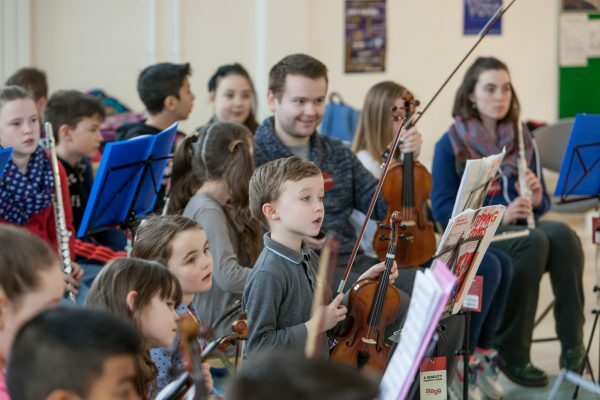 With the second Singfest 2016 rehearsal approaching fast, Music Generation Offaly/Westmeath continues to develop new performance music education opportunities for children and young people across Offaly and Westmeath, aiming to reach even more young musicians. For more information visit the Music Generation Offaly / Westmeath Facebook page or www.musicgeneration.ie.